FORMER MAYOR & ex prosecutor, FLAT REASONABLE Fees, payment plans and I KNOW what I am doing. 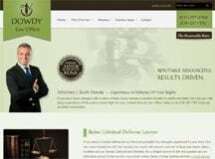 Need an attorney in Nampa, Idaho? Use the contact form on the profiles to connect with a Nampa, Idaho attorney for legal advice.